Health snippets - How do you want your Cola...? The wrong way to health - Nutritionism. 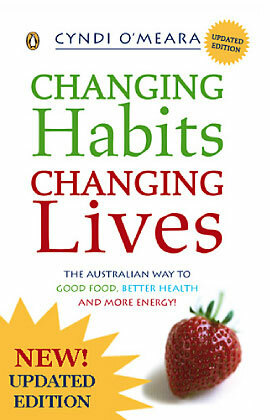 This presentation was given by Cyndi O'Meara and her message is "changing habits" So what does this mean? When we are considering our health and the health of our nation, for that matter, the health of the planet in general, what is it that needs to change? 40-50 years ago, something did change, we entered the information age and people became more interested in nourishing their brain with information and less concerned about what fed their bodies. This was the beginning of fast foods and with it the development and introduction of thousands of never before seen chemicals into our food chain. Cyndi suggests one of the reasons our "illness industry" is thriving so much these days is due to our "food-less food" (my term, not hers). Some of you may have heard me mention "anti-nutrients", foods that result in our body using more energy just to process/digest than it gets in the form of fuel to operate. She notes that when the average person reads a nutrition label of a food they are assessing the break down of sugars, fats, carbs and protein, they are seldom assessing the actual ingredients. The ingredients may be highly processed or may be isolated food elements or artificial. It seems we have decided a specific nutrient may be more beneficial than a "wholefood" and this has created a monster. Cyndi suggests we would be better off looking at the actual food ingredient list rather than the nutritional breakdown. Are you winning the battle against the winter bugs? As we are still seeing a lot of people struggling with the winter flu season, and the concern over Swine flu is still "in our faces" we felt it was appropriate to mention again a couple ways that are effective for assisting the body as it endeavours to keep the bad guys at bay. The first is the simple formula from Heel known as Engystol. We have featured Engystol in the past and continue to receive great feed back from those using this magic little formula. On its own it has the ability to improve the activity of White Blood Cells and has been scientifically proven to significantly reduce the duration and severity of symptoms during an acute viral infection and help protect from subsequent infections. Scientifically demonstrated antiviral activity against viruses such as Influenza, Rhinovirus and RSV. On the international market for more than 30 years. May be combined with other natural or conventional immunomodulating therapies. Another great way to get relief from all sorts of "bugs" are our various Homeobotanical combinations(Hbt) - this is a very cost effective range that we can mix and match to suit your particular symptoms. So whether you have more a lung problem like asthma, a catarrh issue or chesty cough needing an expectorant or an all round "germ killer", we can put together a remedy to suit. These are excellent value and can be used by all ages, see our special for this month at the end of this newsletter. We find the Hbt remedies can be used by all ages and are very versatile. Combinations cover most situations here are just some examples: asthma, aches, skin, liver, pancreas or kidney support, brain function, hormone balance, emotional stress, sleeping problems etc etc.. Simply let us know what your requirements are and we can quickly mix a personal remedy. For those of you(or your loved ones) that have been battling and are finding your system just isn't shaking it, you will find many benefits from taking the super hard hitting ImmunoDMG from DaVinci. An amazing formula that works at a very deep level to support a struggling system and help combat a lack of energy. The results we have seen have been "impressive" to say the least. Things are heating up in the USA with national legislation banning BPA in food and beverage containers. In response, the chemical industry is spending big bucks and pulling out all the stops to sway public opinion, including fear tactics targeted at young mothers. Coca-Cola and Del Monte appear to be trying to deceive the public about the dangers of BPA. In recent weeks food and chemical lobbyists met in Washington, DC to save BPA - they're desperate to block state and federal efforts to regulate their $6 billion industry. We were shocked when we read internal meeting minutes that revealed an unethical strategy to keep the public(that's all of us) eating and drinking from BPA-laden containers. To get the full story, see this Enviroblog. 1. Employing fear tactics like threatening consumers with limited access to affordable baby food. 3. Focusing fear tactics on historically exploited populations including "Hispanic and African Americans and the poor." ANSWER: (5) All of the above. Here we go again! It seems there are some companies that just won't stop at trying to get things their way. We don't need to use containers - or anything - that have BPA in its makeup, we first bought this to your attention along time ago when we started using our Ecotankas.